To help our member institutions generate a more visible, measurable, local impact – we provide training and development in the Impact Collaborative innovation skill-building process to Extension professionals so they can take these skills back to their institutions and help their local project and program teams find more innovative ways to move institutional goals forward. With the help of our Facilitators, we can continue to help bring new innovation to the Cooperative Extension System. This is a membership benefit included with every member institutions’ investment in eXtension. This three-day training is designed to teach the Impact Collaborative Innovation Skill-Building Process and provide the skills necessary to facilitate this process in your own state and be equipped to serve as an invited facilitator of an Impact Collaborative State Event and at our national Summit. Each institution’s Director or Administrator may select one member to be a Designated Free Trainee. Additional trainees are welcome to attend, but registration, travel, and lodging costs are at the responsibility of the institution. We recommend that Directors and Administrators select Facilitators such as a program leader, or someone who works closely with their leadership team, who possesses strong confidence in their facilitation skills, and can be effective in working alongside their leadership team and other program leaders to catalyze innovation throughout their organization. At eXtension, embracing diversity is one of our core values; we encourage participation from individuals that share that same value. Registration for this training is now open and the dates are January 15-17, 2019 in Atlanta, Georgia. You will need to reach out to your Director or Administrator for approval on becoming a Facilitator with the Impact Collaborative. If you are selected as a Designated Member trainee, your Director/Administrator will have a promo code to get you the free registration on our registration site. If you are registering as an additional trainee, please complete the registration without the promo code. The deadline for registration is December 21st, 2019. Training concludes at 3PM on January 17. Please do not plan to depart the training until after 3 PM. *eXtension Foundation will book your room based on arrival and departure indicated at Registration. To book your airfare, please call Travel and Transport (402-486-4111 or 1-800-228-4395, 8am-5pm CST, M-F ). eXtension will pay for your flight. Our travel policies can be reviewed in detail here: eXtension Foundation Travel Policies. eXtension uses the Concur travel system to reimburse travelers. Please contact Brenna Kotar, ceoassistant@extension.org , to get set up in the eXtension Concur system. You will need to provide an email address that is not associated with another Concur account. It takes approximately 48 hours to be set up in the eXtension Concur system, so please do this prior to your trip. Upon travel completion, you will receive reimbursement through the eXtension Concur system. If you have questions or need assistance with your expense report, please contact Brenna Kotar, ceoassistant@extension.org. Please let us know if you have questions or need assistance. Contact Ashley Griffin at 859-608-2726 or ashley.griffin@extension.org. 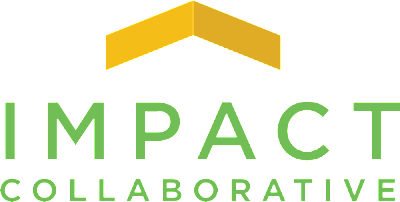 Join the Impact Collaborative team and help Extension professionals across the nation find more innovative ways to meet their institutional goals and generate a greater local impact.